*Cannot be combined with any other offer. Offer subject to change without notice. Contact dealer for details. 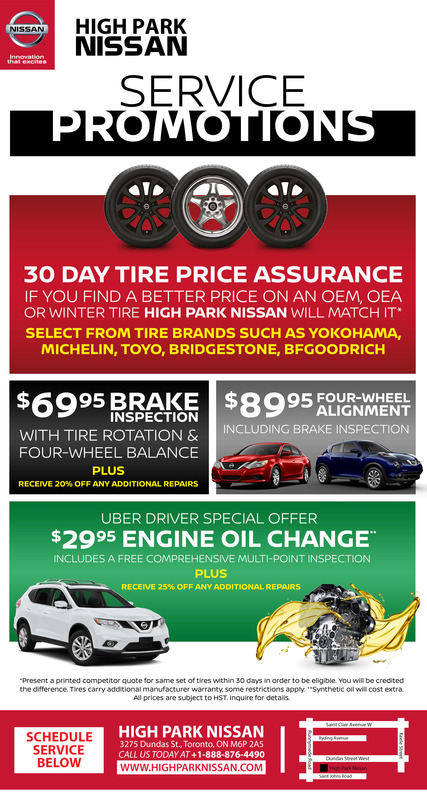 I agree to receive occasional promotion, newsletter, safety and recall communications from High Park Nissan.